It's the dark origin of the Apocalypse Twins as Kang's true motives are revealed! When an Avenger falls, it's only the first casualty of many! As the Wasp faces the Grim Reaper, the Scarlet Witch confesses her true love and makes an impossible choice. And Sunfire and Rogue must defeat the Apocalypse Twins alone - or watch the end of our world! Wolverine fails mankind, more Avengers die, villains take their revenge, and the Unity Squad is left shattered. The fate of humanity rests in Thor's hands, but can even the God of Thunder defeat the combined might of two Apocalypses? Bring on the bad guys, because Ragnarok is now! 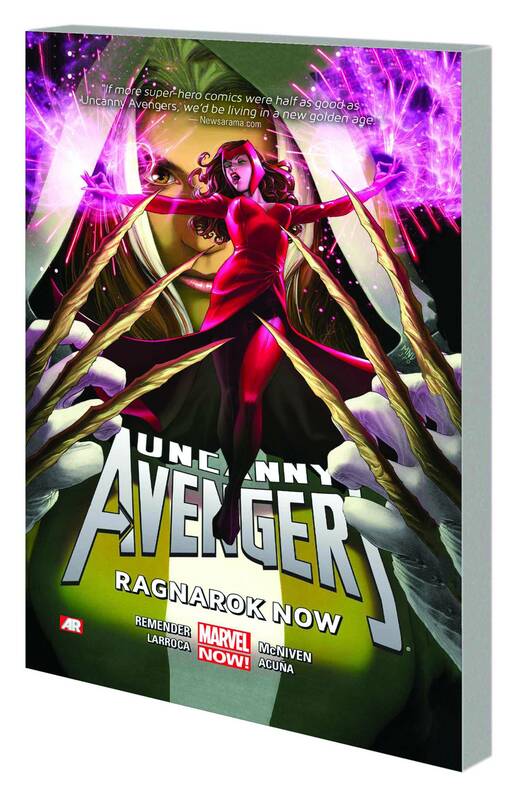 Collecting UNCANNY AVENGERS #12-17.